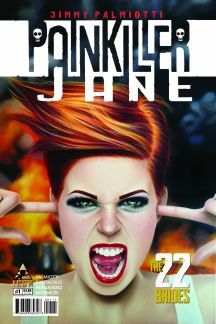 Painkiller Jane is back! And now, romance and chaos is in the air as Jane is joined by a group of mercenary assassins called the 22 Brides! It’s nonstop action as Jane and the Brides take on a group of underground terrorists causing chaos in New York City — but when they get wind of the terrorists’ next target, their war becomes a desperate race against time, and Painkiller Jane and her newfound allies must beat the clock to stop the mysterious plot before hundreds are killed! 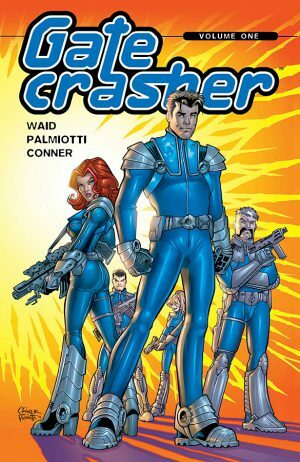 Thrill to edge-of-your-seat storytelling as only Jimmy Palmiotti and Juan Santacruz can deliver it! 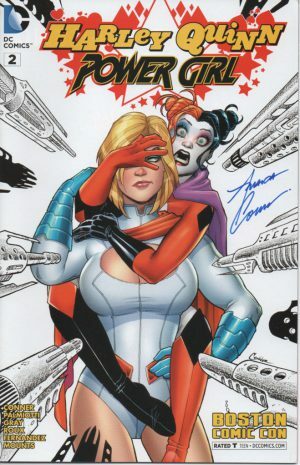 Plus: a special story by Steve Mannion, featuring Painkiller Jane on the hunt for a killer!